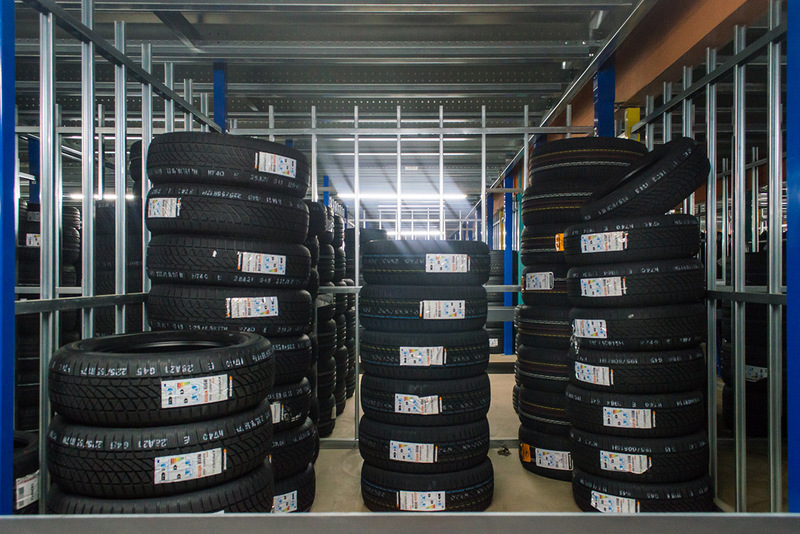 Tyre storage - Anera B.V. 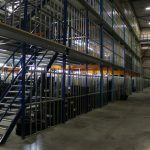 In an age where everything is computerized to perform work not only faster, ergonomically correct, but above all more efficient and therefore cost-effective, we can be of use to achieve this within your industry. 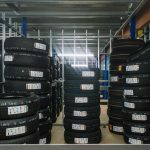 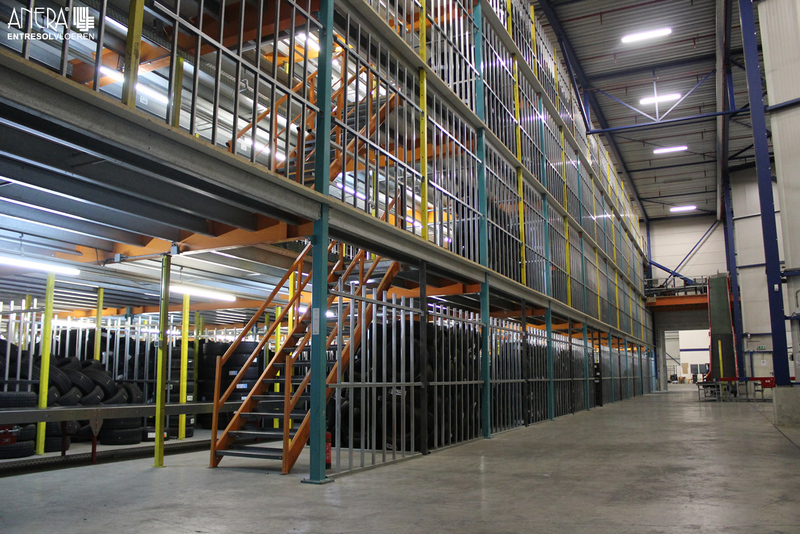 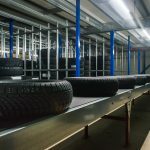 Anera provides a unique automated tire storage system which is applicable in each warehouse and specifically tailor made on the principle to use all available space. 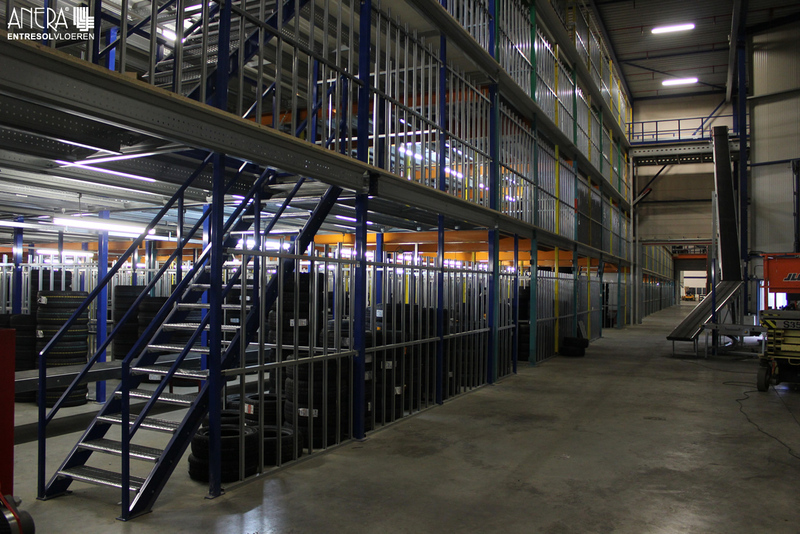 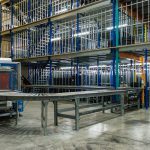 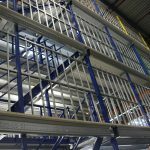 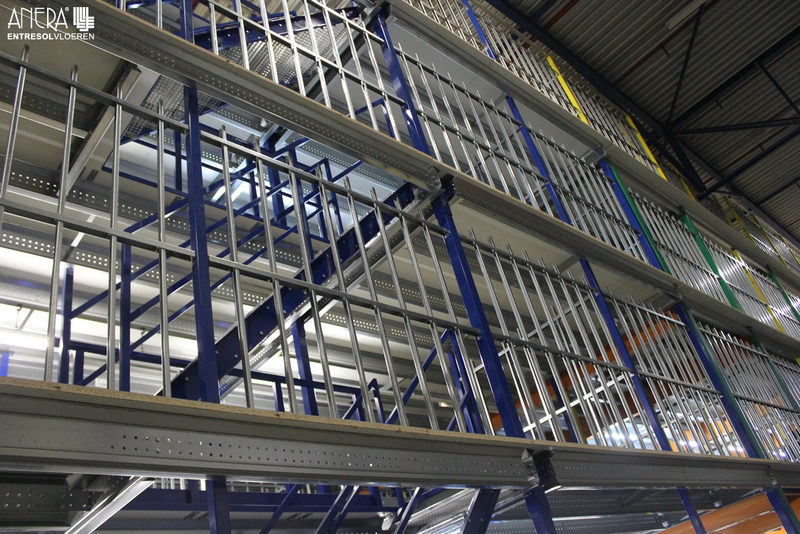 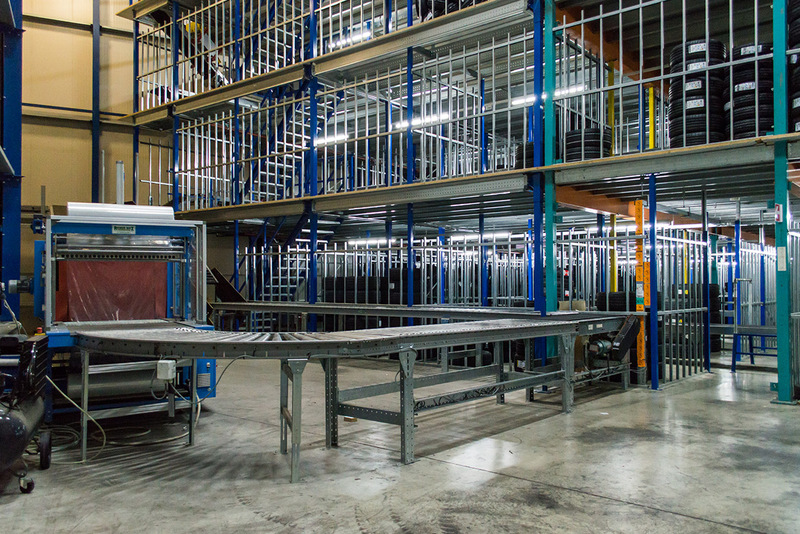 To realize this, transport and sorting systems are combined with several mezzanine floors and provided with fencing which serve as the tire storage compartments. 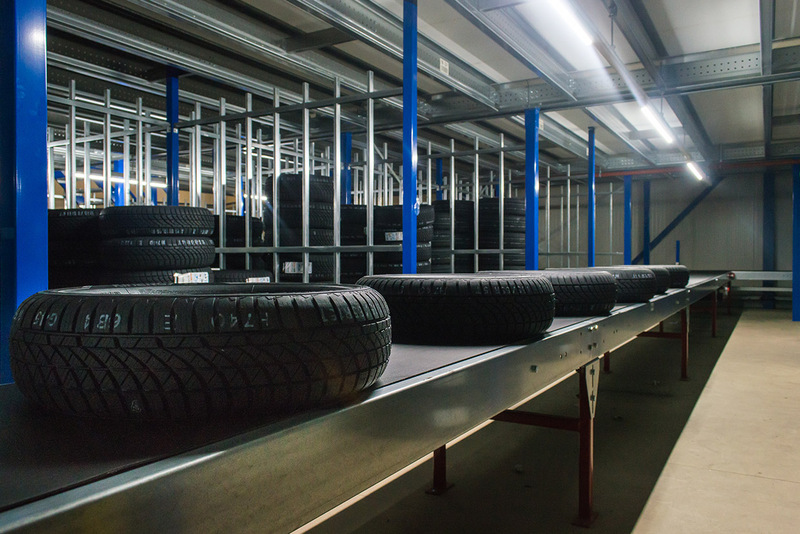 Our years of experience and continuous product development has resulted in a system that complies with all standards and where the quality of the tires is guaranteed.